Make sure you keep all of your hard work in a cover that reflects your high quality and professionalism with thermal binding covers. And we have a lot for you to choose from! We have hard cover cases, linen weave, and leatherette. Some have die-cut windows while others have transparent covers and on-demand gloss adhesives. There's even the simple, minimalistic look and we have lots of colors! We have some of the best brands in the business-Fellowes, GBC, and Coverbind. We even have replacement thermal binding glue strips, for a quick and easy fix. 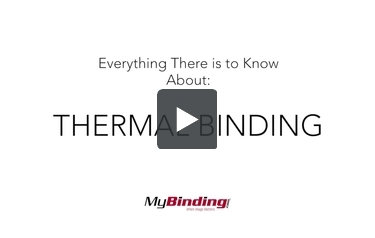 So warm up that thermal binding machine and make your documents, manuals, or self-published books meet today's binding standards!